It's officially the holiday shopping season. Gamers all over the world will be getting and giving gifts. But what games should you buy? You don't want to chance your money on something you won't end up playing. As such, Reviews are a great way to save money, letting you know how a game works so you can only get the ones you want. So let's save you some money. 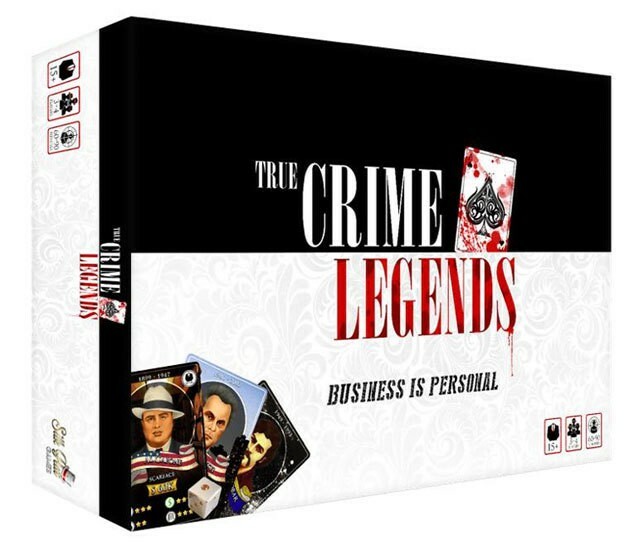 Today we have: True Crime Legends, Dream Home, Medici, Dragon Punch, 4 Gods, Garbage Day, A Feast for Odin, Amun-Re, Jorvik, and Santorini. Everybody wants to rule the world. In 4 Gods, you not only get to rule the world, but also create it. The game is a world-building game where players are deities who must create the world in a way that makes sense, but also gains you points for having supporters and mystical cities. In the beginning, the gods created the Earth. Well, in the real beginning, the got their 4 Gods game out, opened it up, mixed up the tiles, set out the playing space, and got ready. Then they created the Earth. 4 Gods will soon let you build your own world. But, just as there's rules that govern the physical world we live in, there's rules for how you can build your world in the game as well. That's what we get a look at in this preview. If someone asks if you're a god, you say, "Yes!" Well, in 4 Gods, you don't have to lie about it. You actually will become gods (actual divinity is not imparted by playing this game) and together, you will create a whole new world, filled with wonders of nature as well as various peoples that will populate it. But gods can be rather petty, each wanting to have the love of the world's inhabitants. And so you will each be trying to become the one that the world worships and adores. 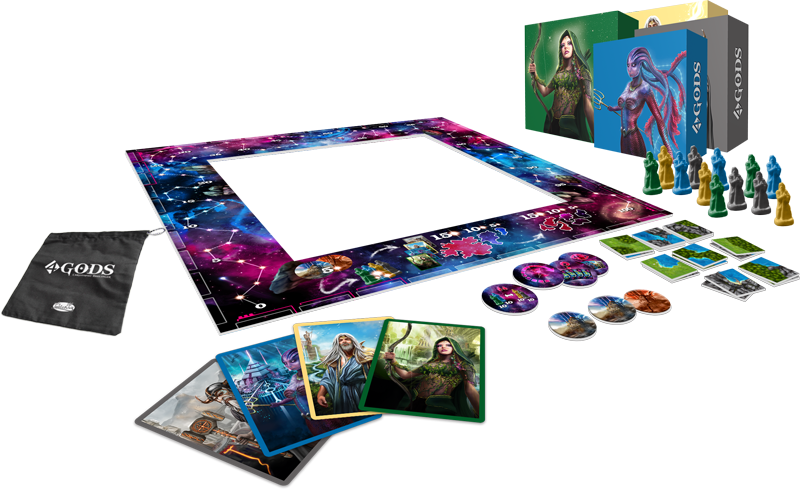 That's the story behind 4 Gods, a new game announced by Asmodee.